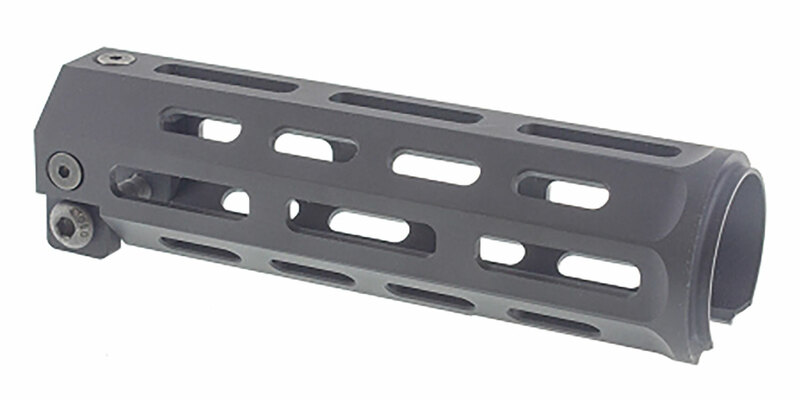 NEW US Made MP5 / HK53 Regular Handguard milled from billet aluminum. This light weight unit is made for a tight fit and secure lockup for use of a variety of rail options and coverings. This hand-guard is manufactured by Flawless Firearms in the USA offered on Brethren Armament production guns. 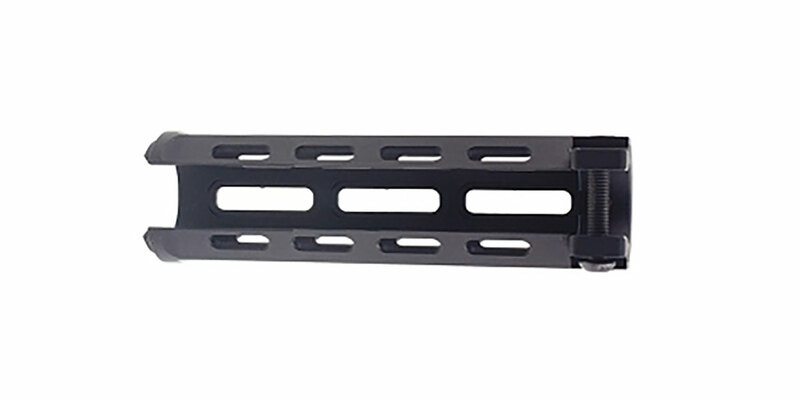 This is a great way to upgrade your existing MP5 or Roller lock firearm to a modern modular rail system. 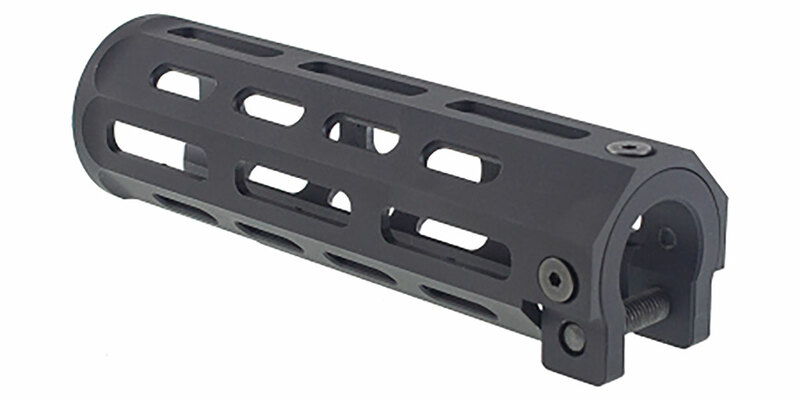 Handguard does not include rail sections and MP5 Barrel shown is not included. All mounting hardware included.